CAHILL U.S. 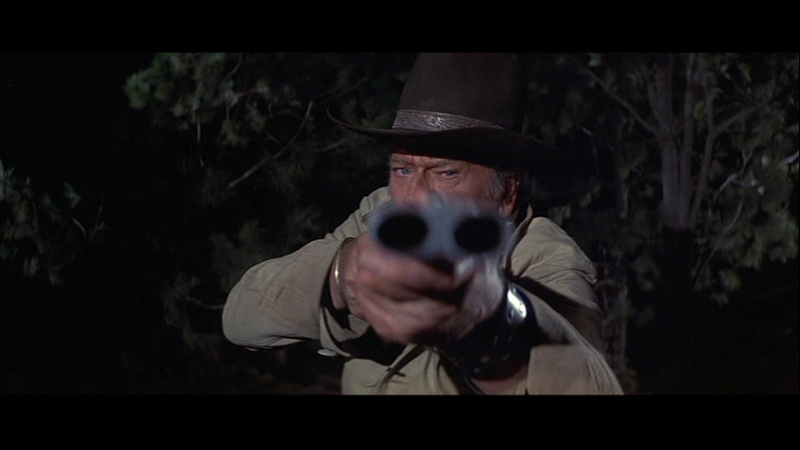 MARSHAL, from 1973, was the first of four John Wayne misfires in a row. Looking cheapish and tired-out, it trundled in at #44 for the year. Not really terrible, it’s just not much of anything, as crusty lawman Cahill tries to mend fences with his two estranged young sons and settle up with their cohort-captors. 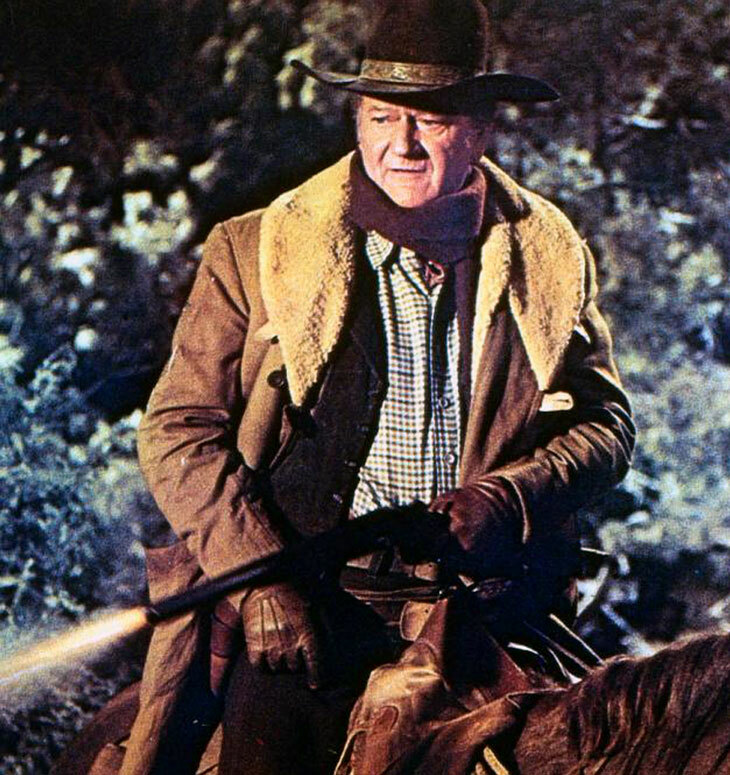 They’re led by mean-dog George Kennedy, now elevated to co-star eight years after The Duke memorably whacked him with an axe-handle in The Sons Of Katie Elder. Along for the say-lines-collect-check duty is a worn-down Neville Brand, 53 going on 71 after years of hitting the sauce. Still, the WW2 vet and general tough old bird kept plugging until he actually was 71, passing on in 1992. Intense and likable Gary Grimes, briefly hot after Summer of ’42, and plucky Clay O’Brien (one of The Cowboys ) do well as the kids, and the supporting cast includes vets Marie Windsor, Royal Dano, Denver Pyle, Jackie Coogan and lifelong Wayne buddies Harry Carey Jr., Paul Fix and Hank Worden. Directed by workmanlike but uninspired Andrew V. McLaglen, in the last of a quintet he worked with the star over a ten-year stretch. 103 minutes that Wayne dismissed with “It just wasn’t a well-done picture. It needed better writing. It needed a little better care in the making.” Nuff’ said.